White House national security advisor John Bolton on Monday begins two days of meeting with senior Russian officials following Washington's weekend announcement of withdrawal from a Cold War-era nuclear weapons treaty. 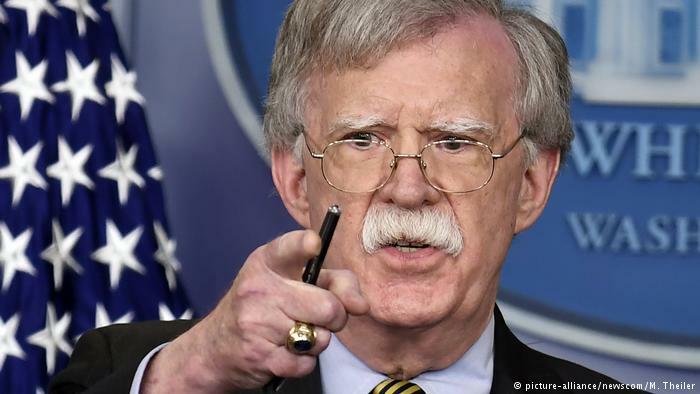 The Moscow visit by Bolton was planned before the Saturday announcement by President Donald Trump that the US was ditching the three-decade-old Intermediate-Range Nuclear Forces Treaty, known as the INF, which Moscow has already denounced as "dangerous." The treaty was signed in 1987 by then US president Ronald Reagan and Mikhail Gorbachev, the last Soviet leader, who on Sunday said that "dropping these agreements... shows a lack of wisdom" and is a "mistake". On Tuesday he may also speak about the treaty with President Vladimir Putin, according to Putin's spokesman, who said the Russian leader seeks "clarifications" about US intentions. On Sunday, Lavrov's deputy Sergei Ryabkov warned that withdrawal "would be a very dangerous step" and said Washington faced international condemnation in its bid for "total supremacy" in the military sphere.